Shut down of San Onofre Nuclear Plant presents opportunity for more solar | West Coast Solar, Inc. 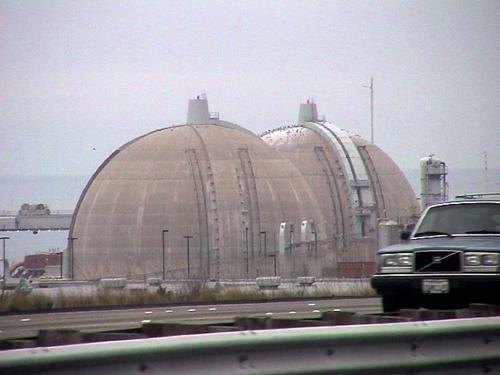 Anyone who has driven down the Interstate 5 from Orange County to San Diego is likely familiar with the bizarre looking domes of the San Onofre Nuclear Generating Station. The owner of the plant, Edison International, announced on June 7 that the 2,150 megawatt (MW) capacity plant will be permanently shut down. This is a troubling sign for the nuclear power industry in the United States, which has had a tough time promoting its technology since the 2011 Fukushima Dai-Ichi plant meltdown in Japan. But it presents a great opportunity for the state of California to switch its focus to renewable energy sources such as solar photovoltaic panels. According to Bloomberg.com, the plant had been shut down since January 2012 because of intense regulatory pressure to make nuclear plants safer. Southern California Edison, a subsidiary of Edison International, decided that the cost of bringing the reactors into compliance with new safety rules would have offset the profits from selling electricity, and so the station’s two nuclear reactors will not be brought back online. Nuclear power has the virtue of producing quite a bit of electricity and no emissions, but spent radioactive fuel is very dangerous and presents a public health and environmental hazard that is practically eternal. In addition, maintenance of nuclear facilities is extremely expensive. By contrast, solar electric generation emits no greenhouse gases, competes cost-wise with conventional power sources such as fossil fuels, and many of the materials used in photovoltaic panels are recyclable. For more information about how going solar can help reduce pollution levels while lowering your monthly utility bills, contact West Coast Solar today.